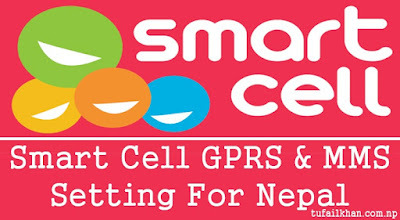 Smart Cell is mobile services provider in Nepal. Smart Cell provides GPRS (General Radio Packet Service) and MMS (Multimedia Messaging Service) for their customers to surf internet on mobile phones. Generally they provide automatic GPRS and MMS settings for mobile phones but still sometime we will be having some troubles with setting in some mobile phones.This post is for manual GPRS setting configuration, you can use this setting to surf internet in your mobile phone using Smart Cell SIM card.